The woods of Elorium appear ordinary to Andi…until the birds start to talk and elves answer doors. Whisked out of her world along with three strangers, Andi finds herself the reluctant guest of Mr. Jackson, a perplexing millionaire who claims to be able to help them get home. The secrets he harbors, however, make it difficult to know just who to trust. When the group of teenagers discover that in this new world, fiction is anything but, and that they all have unexpected family ties to this fairy tale land, they must learn to rely on each other. Faced with characters short on whimsy and bent toward treachery, Andi, Quinn, Fredrick, and Dylan are forced to play their parts in unfinished fairy tales. But in Elorium, happily ever after is never guaranteed. 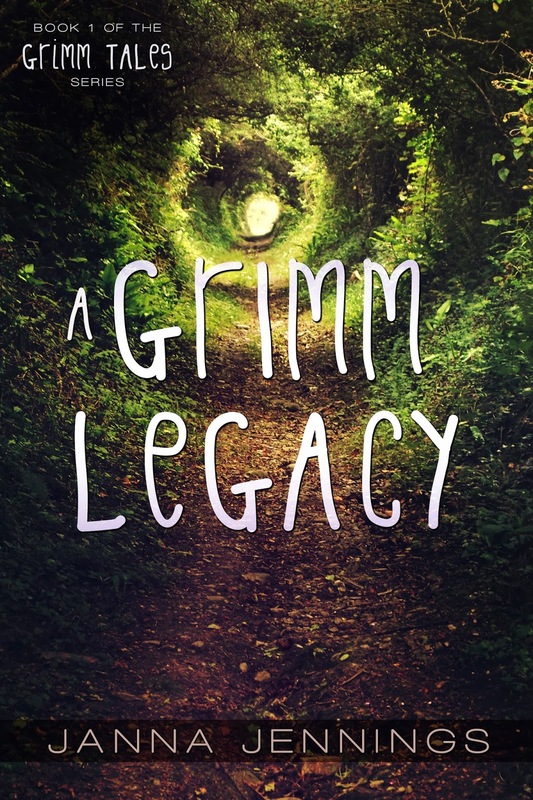 I loved A Grimm Legacy! The fairy tale world had me captivated instantly and I was rooting for the four main characters the entire time. Andi is the unwavering leader, the main link between the other characters and the fantastical world of Elorium. Fredrick, a compassionate southern boy, is the brave protector. 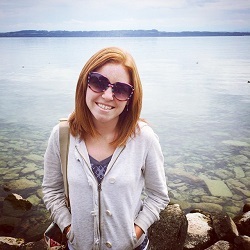 Quinn, strong and selfless, is always quick-thinking in stressful situations. And Dylan, a stereotypical Californian surfer, has a secret soft spot beneath his persuasive exterior. This story begins when these four teenagers from different areas of the country mysteriously appear in a foreign world. As the plot progresses, we discover that Andi, Fredrick, Quinn, and Dylan each have a connection to the world of Elorium. One of the coolest things about this novel is how it echoes popular Grimm fairy tales, but with a twist, of course :) Even if you aren’t too familiar with fairy tales (which I am not), you’ll still recognize references to the major stories. For the lesser known tales, Janna Jennings summarizes them in a fitting way that still leaves you anxious to find out what happens next. This book is suspenseful and intriguing! During the more mysterious plot lines I found myself devouring every page. And let me just comment on this gorgeous cover: I love it! I am a sucker for beautiful book covers even though I try not to ignore or judge books with horrible covers (I fail sometimes). This cover is great–it’s simple yet it pulls you in at the same time. Wow, all your ‘read this if’ points fit me perfectly, so I am definitely planning to read this. I love fairy tale retellings, and this sounds so well done, I’m so glad I read your review!